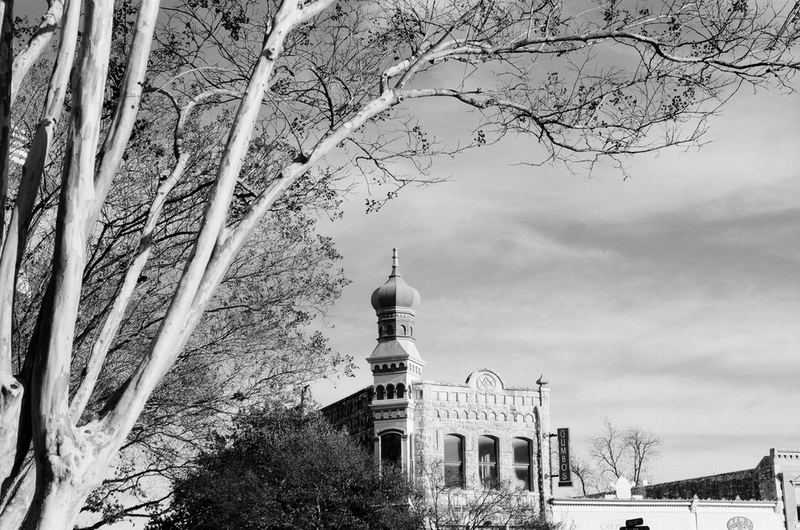 Back in January this year I met up with a good friend and his family for a little stroll around Georgetown, TX. I took along my Nikon F2 with a 50mm lens and some Fujifilm Acros black and white film. For whatever reason I found myself pointing my lens upward toward the roof lines. I wasn't out to do any serious photography that day and I can't say there was a conscious decision to capture images like that. A couple of these were taken later that day in Taylor or Hutto with a zoom lens I had recently acquired. 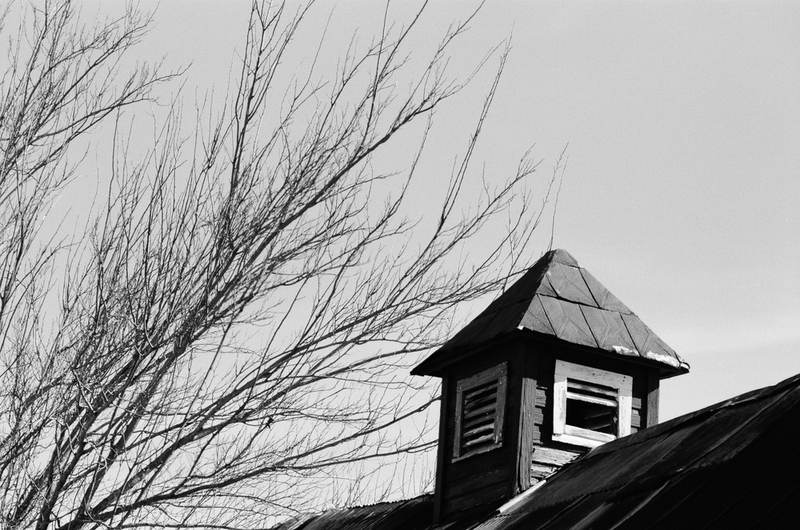 Again, some roof line photos made it on to the roll. I liked a few of these and could see myself doing this again - deliberately next time.